Huawei generated some buzz Tuesday with the announcement of the Ascend P6, which the company bills as the world's thinnest smartphone. 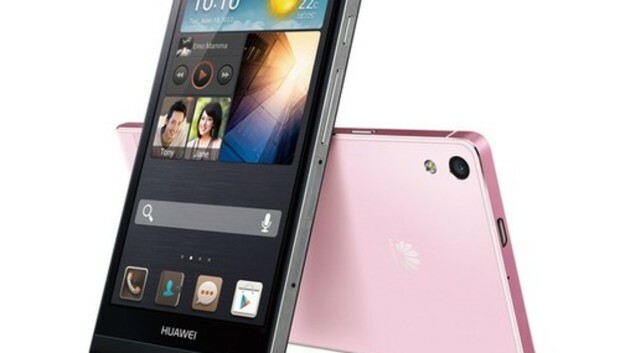 At 0.24 inches thick, the Huawei Ascend P6 sounds stunning, especially compared to the 0.3-inch frame on Apple's iPhone 5 and the 0.31-inch thickness of Samsung's Galaxy S4. Huawei has hardly any presence in the U.S. market right now. The company's Windows Phone 8-based W1 is only available through Walmart as part of a prepaid Straight Talk plan, and other phones like the Ascend Y and Premia 4G are only sold through smaller carriers, such as TracFone, MetroPCS and U.S. Cellular. In recent years, Huawei has managed to get a few low-end smartphones and feature phones on major U.S. carriers, such as AT&T's Huawei Impulse and T-Mobile's Huawei Summit, but nothing that approaches the high end of the market. Granted, Huawei says it wants to have more of a U.S. market presence, but the company's been saying that for a while now. So far, none of the major carriers are biting. It's highly unlikely that the Ascend P6 will be the one phone that helps Huawei break into the high-end U.S. smartphone market. How can one be so sure? Simple: The current version of the Ascend P6 does not support 4G LTE networks. Now that AT&T, Sprint, T-Mobile, and Verizon all have their own 4G LTE networks, there's no way any of them would bring a new, non-LTE phone to market. So, while Engadget reports that Huawei is working on an LTE version of the Ascend P6, it won't be ready until the fourth quarter of this year. Even then, there's no guarantee U.S. carriers will sell the phone, or that an even slimmer handset will have already hit the market. We've been through this before. In January 2012, Huawei announced the Ascend P1 S as the world's slimmest smartphone, but that phone also lacked LTE connectivity and never arrived stateside. Certainly, Huawei deserves credit for pushing the boundaries of design and coming up with a phone that out-slims the rest of the high-end competition. Just don't hold out for a U.S. launch, or you could end up waiting forever.